Susie and her sommelier professor, Marcel. Interest in and love of wine began when Susie was living as an exchange student in the small town of Jonzac, France. 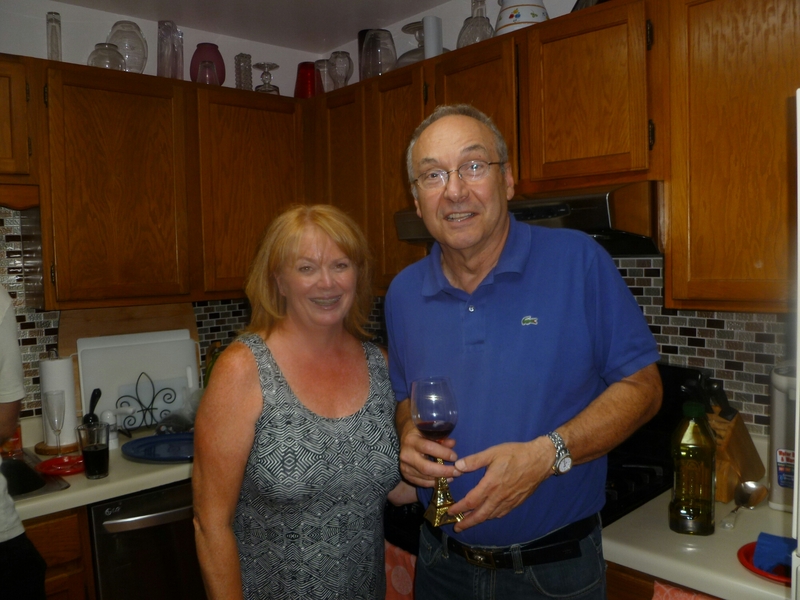 Bordeaux wines and Pineau des Charentes were household staples. Her love of cooking and traveling lead her to a short catering gig while in college; multiple trips back to France including her most recent trip…escorting members of a wine club on a Rhone – Burgundy river cruise; working at a French wine bar as an events coordinator; and her latest journey to become a sommelier. Beginning Tasteful Adventures is a platform to hone her skills and share her love of wine with others. She also works as an independent wine consultant in the Chicago area. Currently, Susie is studying for her French Wine Scholar certification. In September 2015, she was invited to Bordeaux to visit several of the Grands Crus châteaux! Susie and her husband Mark have been married for 28 years. They have two daughters and an energetic, adorable grand-daughter.